This past weekend my husband and I took a quick trip to Key West to celebrate our one year anniversary. 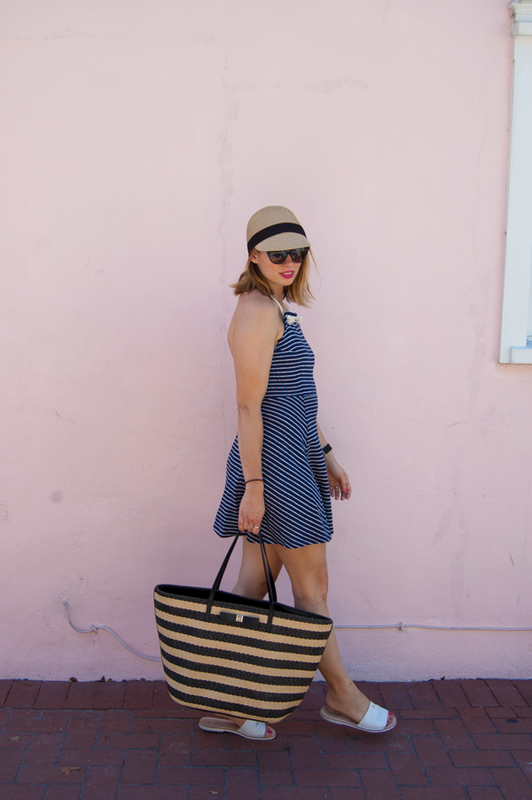 The number one essential for this trip was a dress that can transition from the streets to the beach. We spent time outside of the hotel exploring what Key West had to offer. Before hitting the beach Saturday, we spent it out wandering the streets and hitting up Blue Heaven for brunch. This Zara dress was the perfect day dress and beach dress. The transition from the streets to the beach was an easy one...flip flops and stripping down to your bikini!